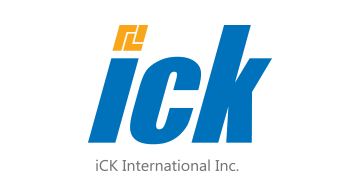 ICK International is a leading global EMV metal card provider committed to enhancing our clients brand by providing personalized cutting-edge products for our client's affluent customer base. As ICK International’s continued commitment to deliver innovation through its metal card line-up, ICK has developed proprietary dual-interface metal cards that deliver industry leading RF functionality - enabling the end-user to conveniently tap any side of the metal card to the terminal on-the-go. As an innovator of premium cards, ICK International also provides proprietary “IoC (IT on Card)” products that prioritize the cardholder’s security. ICK’s IoC products offer advanced IT technologies which increases cardholder security far more than a traditional card by enabling additional authentication security measures such as IC Lock, NFC Lock, and OTP through synchronization with the mobile device, tablet or PC. ICK International enables the best of IoC products and experiences to fulfill our mission to better secure the financial lives of cardholders around the world.